In the early 90’s General Motors had acquired Lotus. They turned to the engineers from the British performance car maker to help them build a version of the car that would keep up with the supercars of the time. The Lotus engineers recommend a few modifications, including the use of dual overhead cams instead of the pushrod design that Chevrolet had used, well, forever. The result is the only time that the factory has ever put a non-pushrod V8 in a Corvette. The Corvette ZR1 of the early ‘90s was very fast for its time and it still is fast today. It can go from 0-60 mph in just 4.8 seconds and flat out can hit 180 mph. The interesting thing about this version of the ZR1 is that it doesn’t stand out. Outside of a ZR1 badge, there just isn’t much telling folks that this isn’t your standard Corvette. It is the perfect sleeper, just waiting for a Ferrari or a Lamborghini to challenge. Check out this video that goes more in-depth about the ‘91 Corvette ZR1. While the styling is certainly dated, it would be a welcome add to anybody’s garage. 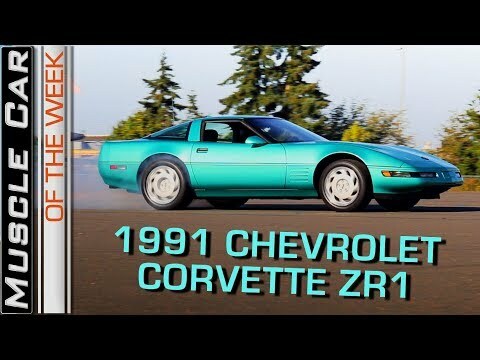 After you watch the video scroll down to the comments and share your thoughts on the 1991 Corvette ZR1.